La Quinta Trusts Lawyer Sheila J. Barton helps families realize goals, optimize the protection of assets, and preserve family values through the creation of Trusts and the effective administration of a Trust. As a Trust administration attorney, she ensures the Trustor’s wishes are carried out and the distribution of assets is consistent with legal and financial parameters. La Quinta Trusts Attorney Sheila J. Barton can help you create an estate plan with Trusts which are beneficial to your family now, while also being advantageous for your beneficiaries in the future. In order for a Trust to be effective, it must be well-drafted, properly funded, and clear in communicating your intentions. Contact La Quinta Trusts Lawyer and Trust Administration Attorney Sheila Barton to discuss creating a Trust for your family or for administering the Trust of a deceased loved one. Call (760) 834-0444. Schedule a consultation and discuss your situation today. Ms. Barton will answer your questions and advise you on your rights and obligations concerning Trusts and Trust Administration matters. La Quinta Trust Attorney Sheila J. Barton is experienced at drafting Trusts, the legal instructions for how your assets are to be handled after your death. She will customize the Trust to ensure your wishes are clearly communicated to your beneficiaries. By creating a Trust on your behalf, Estate Planning Attorney and Trusts Lawyer Sheila Barton can help you set forth the ways in which you have planned for your beneficiaries to inherit your estate in addition to preserving your family’s values. Depending upon your goals, Trusts Attorney Sheila Barton can create a Trust which will help your assets avoid probate, and allow assets to be transferred directly to the beneficiaries. By avoiding probate, Trusts are a more effective and efficient way to transfer assets when compared with probate administration. Often created with a Will, a Testamentary Trust becomes effective upon death. A Revocable Trust allows you to retain control and ownership of your assets, while allowing you to make changes during your lifetime. Control and title of assets is held in this Trust. In most cases, changes cannot be made to an Irrevocable Trust. 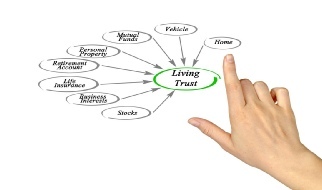 There are several types of Trusts which can be customized to include the unique details of your situation, including Charitable Trusts, Spendthrift Trusts, and Special Needs Trusts. Whether you or your beneficiaries live in the Coachella Valley or another city in California, La Quinta Trust Administration Attorney Sheila J. Barton is prepared to represent your interests. She provides skilled advice and counsel to the Trustee from the time of the Trustor’s death when immediate attention is required, in addition assisting with the Trustee’s ongoing responsibilities until the Trust is closed. Ms. Barton prepares the mandatory Trust accounting, coordinates necessary appraisals, and advises the Trustee regarding the sale of property and assets in order to settle creditor claims. With more than four decades of experience as a La Quinta Trust Administration Lawyer and Estate Planning Attorney, Ms. Barton works closely with the Trustee to expeditiously distribute assets to the beneficiaries in the exact manner prescribed by the Trustor. Call (760) 834-0444 and arrange for a comprehensive consultation with La Quinta Trusts Attorney and Trust Administration Lawyer Sheila Barton. You may also contact us by email when you submit your information on our Trust and Trust Administration Case Evaluation Form. We will soon be in touch with you to schedule your consultation.